WE Scavenger Crawl 2018 is set for October 13! 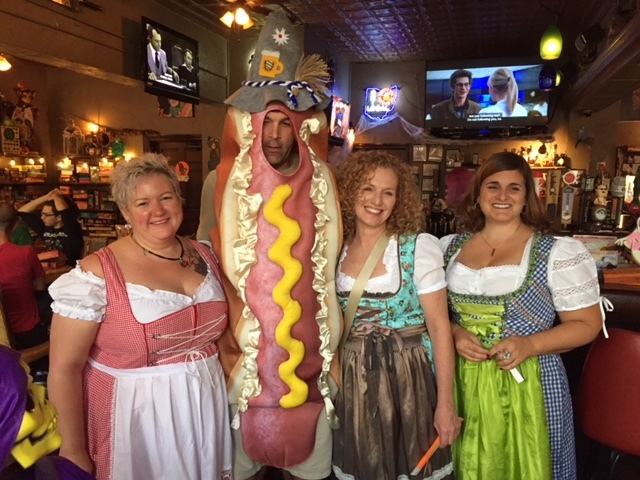 Your favorite Halloween themed bar crawl meets scavenger hunt is back this 2018! REGISTER TODAY! 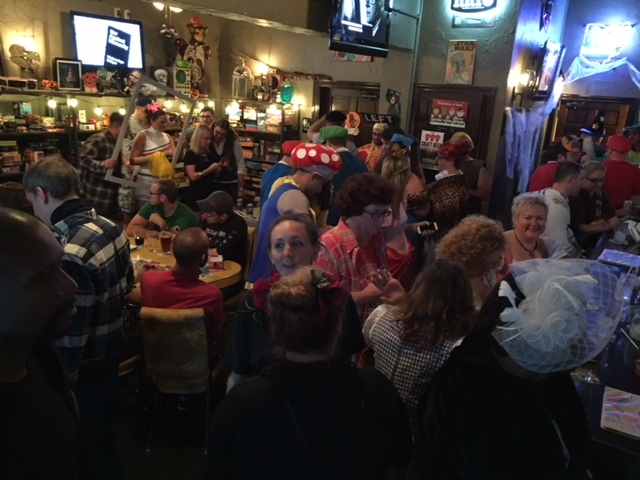 Scavenger Crawlers will spend the evening of Saturday, October 13, 2018 touring West End Lakewood bars and restaurants searching for secret objects and ‘trick-or-treating’ for tasty adult beverages. Prizes for Scavenger Crawl winners and best team costume themes! The cost is a flat rate of $25 per team. 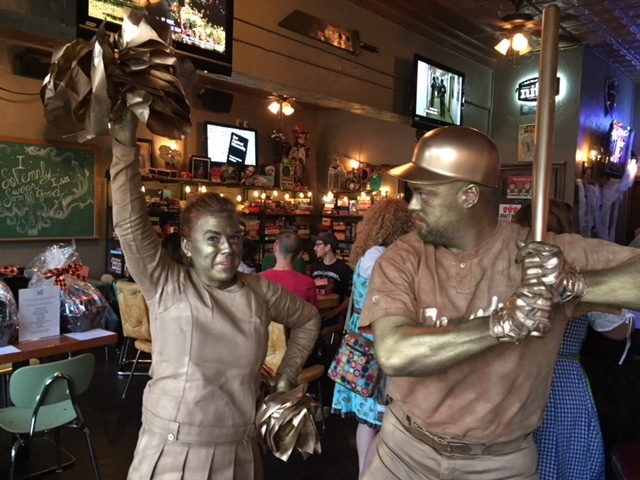 * Team Captains form a team of 2-6 friends, come up with a clever team name and costume theme, and get ready for a night of scavenging and fun! Must be 21+ to play. IDs will be checked. “Best Adult Community Engagement Event in the Greater Cleveland Metropolitan Area” by TMT Magazine! “Most Outstanding in Themed Community Events in the Greater Cleveland Metropolitan Area” Corporate Excellence Awards of 2018 by CV Magazine! *Online pre-sale ends on Friday 10/12 at 4:00 pm EDT! *Day of registration available (location TBD) for $30 per team. Check in promptly at 6:30 pm. All team members must be present so we can check valid photo IDs. The Scavenger Crawl starts promptly at 7:00 pm for all teams. Teams will have 2.5 hours to visit all of the participating locations and find the hidden objects (the locations and objects are top-secret at this time!) by no later than 9:30 pm. After that, teams will regroup to attend the awards ceremony, and are invited to stick around for the Scavenger Crawl After Party! 1. Teams are to consist of 2-6 individuals. Participants must be 21 years of age or older to register. Groups larger than 6 are encouraged to form multiple teams. The cost of registration is $25/team (pre-sale). 2. Each team registers and pays online. 3. Shortly before the event, we’ll contact you to find out your team captain, your team name, and your team’s costume theme (e.g. a team who dresses up as superheroes; a team who dresses up as monsters). This information can also be provided during in-person registration on the day of the event. 4. Teams will check-in on the day of the event at one designated location (TBD); teams will be introduced so participants are familiar with their competitors. Teams will receive the Scavenger Crawl Passport, and other materials if necessary. 5. Following check-in and team introductions, all teams will begin at the same time, advancing to the location indicated on their Team’s Passport, and move throughout the participating locations at their own pace. 6. Each team proceeds to engage in Scavenger Crawl within the allotted amount of time of 2.5 hours. 7. Upon completion, all teams finish at a designated location TBD before the time limit of 9:30 pm for award ceremony and after party. A sub-game of the Scavenger Crawl is the Where’s Waldo? Mini-Challenge. “Waldos” will be walking throughout the designated area and participating locations; one will be the official Waldo, while the others will be decoy Waldos. The official Waldo will have a badge to denote they are the true Waldo. The official Waldo will have a limited number of gift cards or other prizes. If a team comes finds the official Waldo, they get a bonus prize (while supplies last). Limit one prize per team. *The Scavenger Crawl is not a race. Teams are encouraged to patronize the participating locations at their leisure, while enjoying food and drink. Please drink responsibly and always make safety a priority. Use caution when crossing streets. Play nice. *Trick-or-treating is for adults, too! Teams are encouraged to come up with fun costumes and team names. However, no real weapons of any kind will be permitted for costume uses, and you may be asked to remove masks if they appear to be threatening in any way. Business owners reserve the right to ensure their safety. *Scavenger Crawlers who become rowdy, rude, or unreasonably intoxicated will be removed from the competition and asked to leave. Please be considerate and respectful toward other participants, other business patrons and personnel, WE volunteers, and any other fellow living creatures. *Please have a designated driver or use cab services; please be mindful of others and do not drink and drive. *Participation Trophy: We’ll raffle off a third prize, just for fun. Each team gets one raffle ticket. Prizes may come in the form of gift baskets, gift cards, and/or products and services from West End businesses. *A photo of a unique object (a permanent fixture) will be taken inside each participating location in advance of the Scavenger Crawl. *Each team will be given a Scavenger Crawl “Passport,” which will include the names of each participating location, and each of the photos in random order. Basic information/instructions will also be included as needed. *Teams will visit each participating location to search for the hidden object shown in the photograph. *Once the object is found, teams may photograph it on their phone and show it to the business’ representative, or accurately (and quietly!) describe the specific location where it was found. *The business’ representative will stamp the photo on the Team’s Passport with a special stamp or marking to acknowledge the team successfully found the hidden object in their location. *Repeat as needed until all hidden objects have been discovered, and be sure to make it back to the designated award ceremony by 9:30 pm in order to be eligible for the award ceremony. Previous Previous post: WE Mini Golf Open set for Saturday, June 30, 2018! WE Mini Golf Open set for Saturday, June 30, 2018!